According to the Humane Society of the United States, in less than ten days since its filing, a petition submitted to the White House asking President Obama to crack down on puppy mills has gathered more than 10,600 signatures - doubling the threshold needed to assure an official response. The Humane Society of the United States, the ASPCA, and the Humane Society Legislative Fund submitted this petition using a new feature on the White House website called "We the People," which allows individuals to seek federal action. In turn, the White House promises a response to any petition gathering at least 5,000 signatures within 30 days. 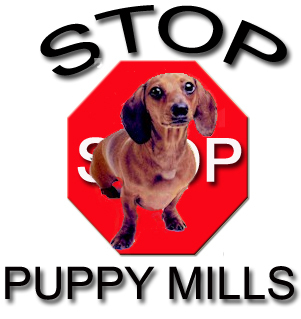 The anti-puppy mill petition met the requirement in less than one week, and as of yesterday has received more than 10,600 signatures. The petition is now the most popular animal related petition on the White House website, and one of the top 15 overall. The US Department of Agriculture recently issued a proposed rule to prohibit the import of puppies younger than six months of age from foreign puppy mills for commercial resale in the United States, implementing a law passed by Congress in the 2008 Farm Bill. This White House petition calls on that agency to close a loophole in the Animal Welfare Act which regulates large scale commercial dog breeders who sell puppies wholesale to brokers or pet stores, but provides no oversight or standards for those who sell directly to the public through newspaper ads or the Internet. Additional signatures are still encouraged to allow the petition to reach the status of "most popular" on the White House website. Those who wish to sign should go to: wh.gov/gdb. Thanks for posting this! I signed the petition, and put it on my blog as well! @Jen How wonderful! Thanks for spreading the word.